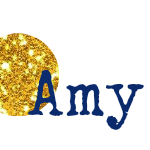 Now I admit that I had my trees up last weekend (when I go out of town for Thanksgiving, I just love coming home to my house all clean and decorated! ), but now the real business of Christmas can begin! One of my favorite things to do is make Christmas pancakes! Since we’re a big brinner (breakfast for dinner) family, I make these pancakes a few times throughout the Christmas season on those busy weeknights when I need a fast meal. The pancakes are easy, delicious and make the kids happy! What more could you want? The pancakes themselves are pretty self explanatory. I typically use my Multigrain Pancakes for these creations. Oh and the great part about Rudolph Pancakes (and the Santas, too) if that they look even better if they’re funky shapes and sizes – talk about easy! 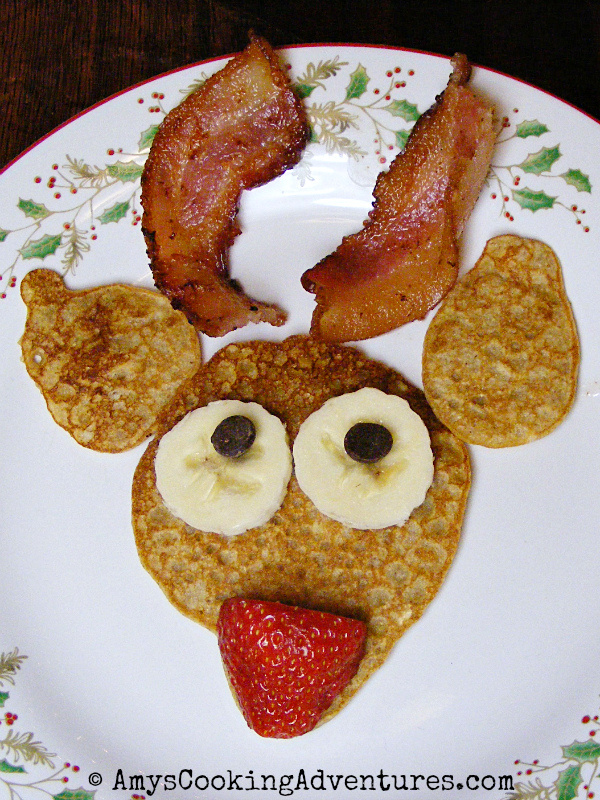 So the pancakes are put together, with a large pancake for the face and two little ones for the ears, a strawberry for the nose, half slices of bacon for the antlers, and chocolate chips and bananas for the eyes! 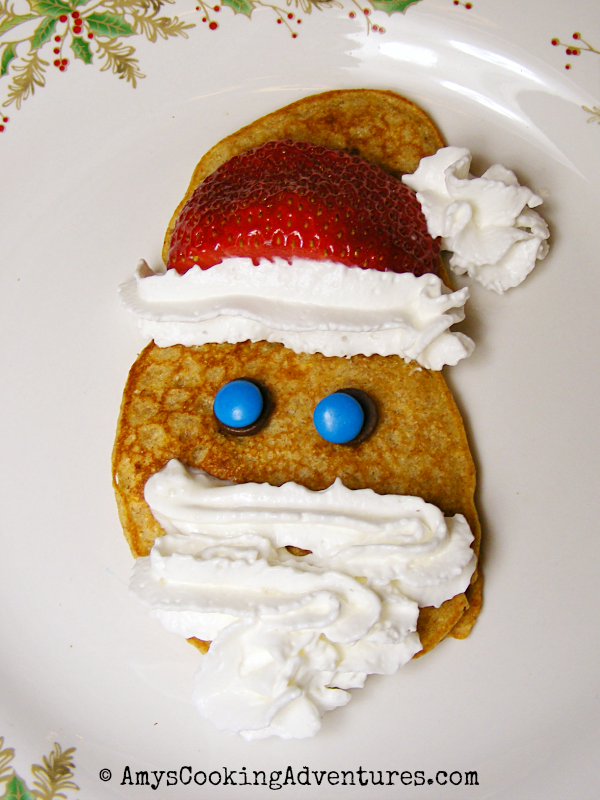 For Santa, it’s the same process but with just two pancakes (face and hat). I used an enormous strawberry for the hat, chocolate chips and mini M&Ms for the eyes, and whipped cream for the fur and beard. The Rudolph Pancakes were inspired by I Heart Naptime. Well if these aren't the cutest!